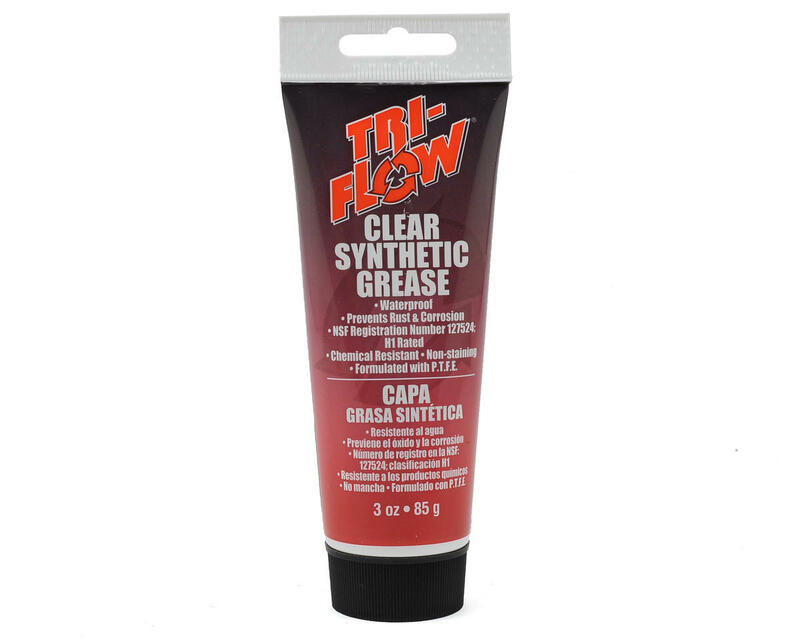 Tri-Flow Clear Synthetic Grease is a premium quality, extreme pressure, non-melting, waterproof formula that seals out water contaminants. It is available in a handy squeeze tube for easy application and fits nicely in a grease gun. This grease is compatible with most rubbers and plastic and stands up to extreme temperatures (-10° - +400° F). Guaranteed to optimize the performance of your equipment's moving parts, such as bearings and tracks, and will allow them to last longer and run quieter and smoother. Prevents rusting even when exposed to salt water! Formulated with P.T.F.E.